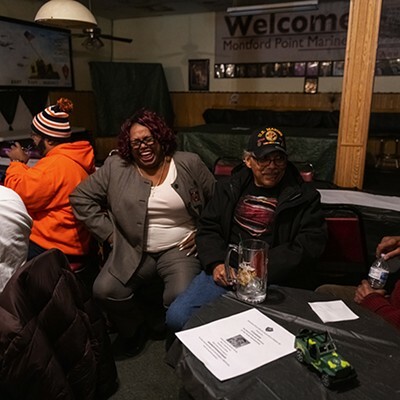 The Montford Point Marine Association Chapter Two, on the 7000 block of South Vincennes, is a veterans organization whose founding members were part of the first segregated unit of Marines during WWII. These Leathernecks were similar in importance to the Tuskegee Airmen but remain much less known. 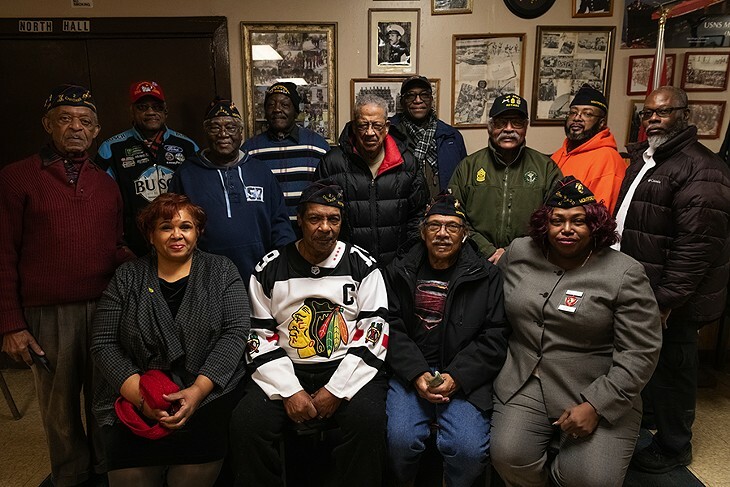 Though MPMA has opened membership to honorably discharged veterans of all races, the local chapter currently has only 35 members, down from a high of more than 150 decades ago. The current MPMA veteran's center was purchased in 1984 after a fire destroyed its location on 75th Street in 1983. Today it is run by a handful of volunteer members, led by president Sharon Stokes-Parry. MPMA's mission is to provide assistance to veterans and continued service to the community. 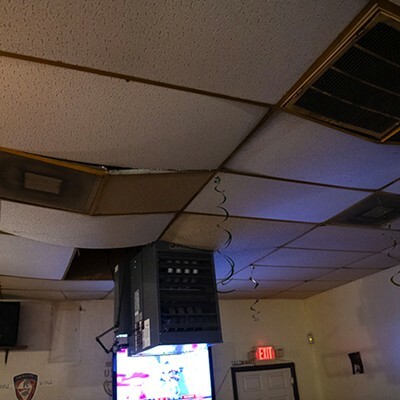 But the organization is fighting to survive, with a tax debt of more than $73,000 on the building, which is in desperate need of a new roof and a new HVAC system, among other repairs. 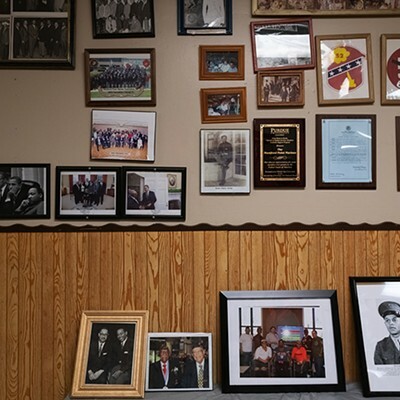 Its story is similar to American Legion posts, Elks lodges, and other private clubs and fraternal organizations I've visited across the country: an American community rich with history, neglected for years and fading from public memory. (In 2017 I published a book, American Legion, about four small posts.) MPMA raised more than $30,000 with a GoFundMe campaign, and in late January former mayoral candidate Susana Mendoza "purged" herself of $141,550 in campaign contributions that were associated with 25th Ward alderman Danny Solis by making a public donation to MPMA. 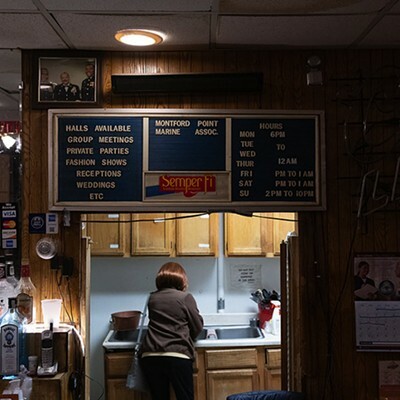 An exploratory committee is currently weighing possible options: repair the building and rent out space again; merge with another veterans' organization; sell the building and meet regularly at another location. All these options include paying the tax debt in full. 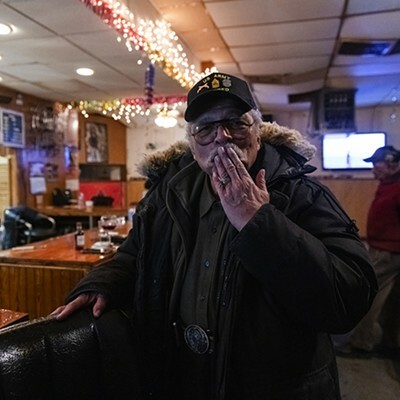 On my first visit to the hall I attended a meeting with Ray Doeksen, a service officer from the American Legion's Tattler Post 973 on the north side, who was interested in seeing if there was anything he or the Tattler could do to help out. 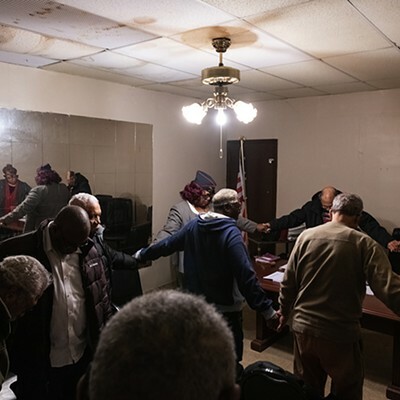 The meeting began and closed with a prayer, with members bowing their heads and holding hands in a room with a leaky drop ceiling, 1980s mirrored wall, and single space heater. After the meeting we hung out at the bar; it was a Sunday and the crowd had come out for one of the final football games of the season. In subsequent visits to the post I brought sound recording specialist David Obermeyer to assist me in documenting members; he has returned many times since and photographed members on Friday nights. Reynolds Jr. was drafted twice into segregated units. 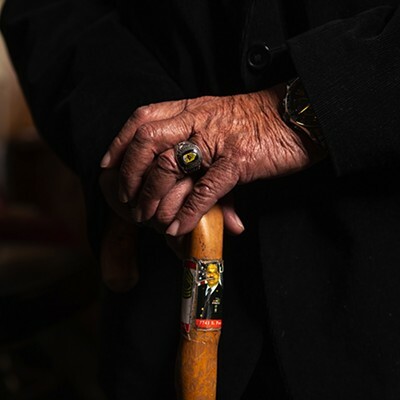 During WWII he was sent along with black marine recruits to train at Montford Point, a segregated section of Camp Lejeune, North Carolina—the largest marine base in the eastern United States—with less than hospitable conditions. In 2012 Reynolds received a Congressional Gold Medal of Honor along with all the other original Montford Point Marines in recognition for their role in pulling down racial barriers in the armed forces. Reid has fought for civil rights throughout his life: he participated in the Freedom Riders bus campaign, marched with Dr. Martin Luther King Jr., and was in the unique position of serving as a National Guard Military Police officer during the 1968 Chicago Riots. In 1999, Reid received the Roy Wilkins Renown Service Award from the NAACP. Stokes Parry said she “wanted to work to preserve legacy and help veterans through service.” MPMA encourages people to get in touch if they would like to donate financially, or their time and skills, and for more veterans in the community to join as active members to help keep the legacy of the original Montford Point Marines alive. 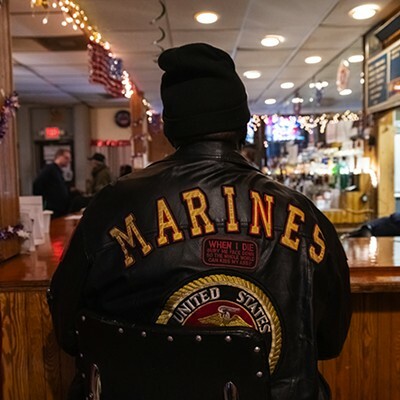 MPMA Manager Martin wanted to enlist in college at Roosevelt University but after being rejected because the school had already reached their quota of black students he joined the Marine Corps. After his service Martin was the first black regional union director and an organizer for AFL-CIO. MPMA House Manager Arthur Bingham operated the first black-owned TV repair service in Chicago. 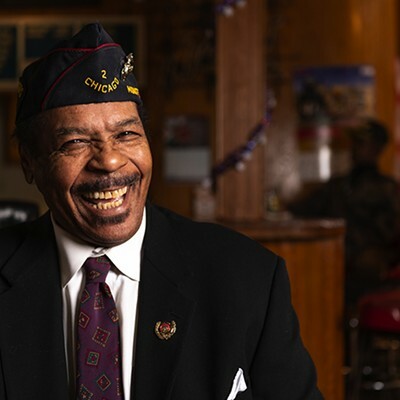 He knew several members of the post from when he owned a neighborhood liquor store, a grocery store, and then an ice cream parlor after his service. Bingham was also a CPD officer for eight years. The First and 26th Wards will vote on a nonbinding referendum that asks whether Illinois should lift the ban on rent control—prohibited in the state since 1997. Portraits and archival photographs evoke a long journey.